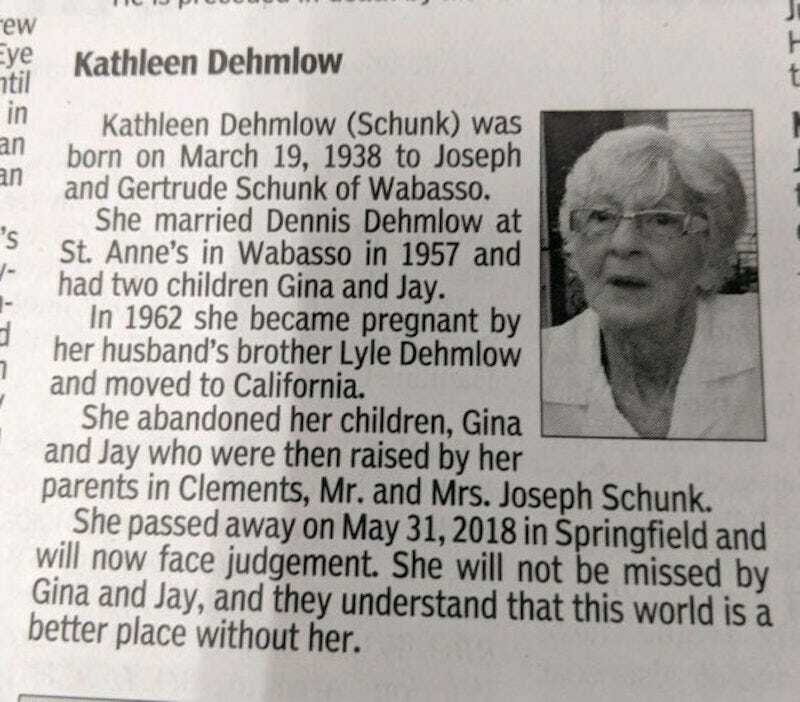 The Redwood Falls (Minn.) Gazette published the above paid obituary on Monday, both online and in print. Sometime Tuesday, the paper deleted the obit from its website. The Schunk and Dehmlow families seem to have some unsettled business, though I suppose this is one step toward a resolution.